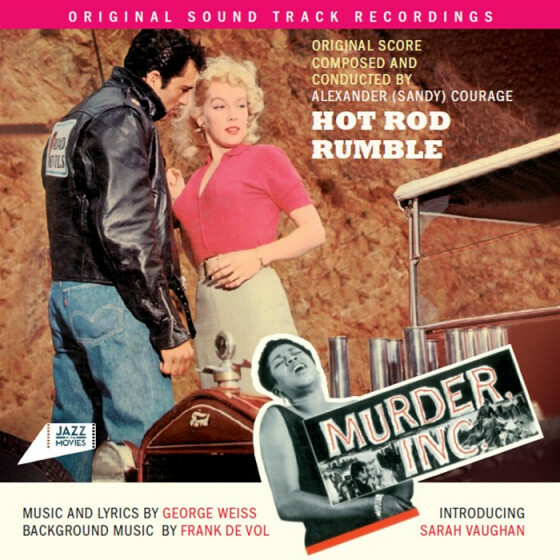 -Music from "Crime in the Streets"
Featured jazz soloists: Pete Candoli (tp), Joe Howard (tb), Mitchell Lurie (cl), Jack Dumont (as), Georgie Auld, Ted Nash (ts), Charles Gentry (bs), Barney Kessel (g), André Previn, Ray Turner (p), Joe Mondragon (b), Bernie Mattinson (vib), Dorothy Remsen (harp). 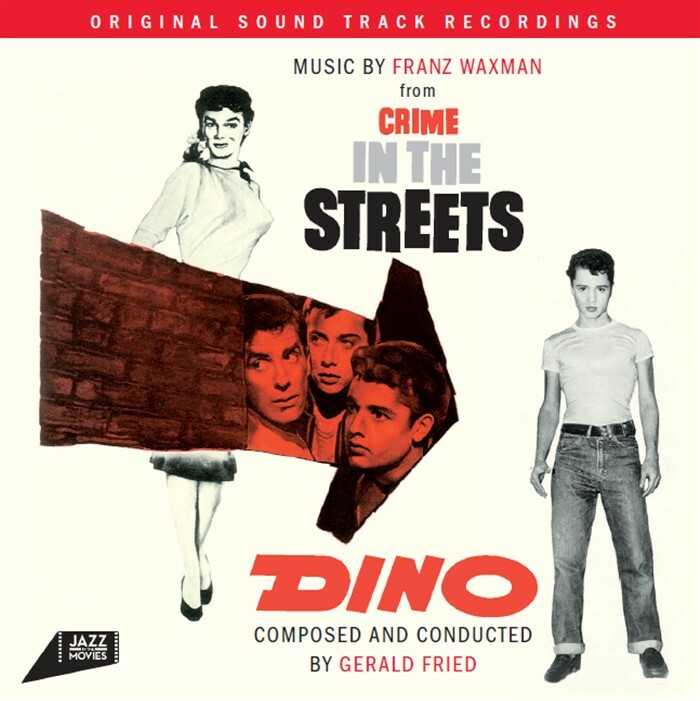 Note: The original Decca release of Crime in the Streets not only featured the most representative music from the soundtrack (#1-3), but it also included two exciting jazz oriented works by Franz Waxman. 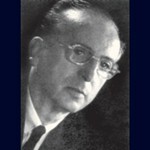 The titles are Three Sketches and Theme, Variations and Fugato (#4-7), and they were recorded especially for the production of the album. Featured jazz soloists: Maynard Ferguson (tp), Frank Rosolino (tb). 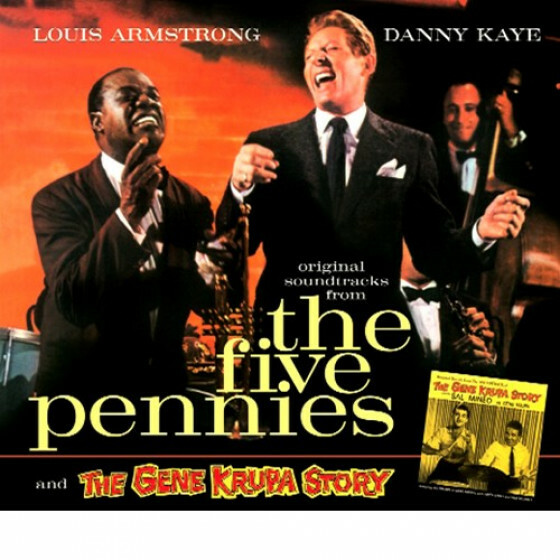 "Heres a genre that needs to be revisited! 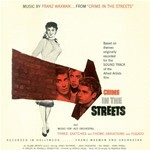 Back in the 1950s a ton of teenage movies about rebellion, gangs, drugs, romance and juvenile delinquency came out. Ah! The good old days!! 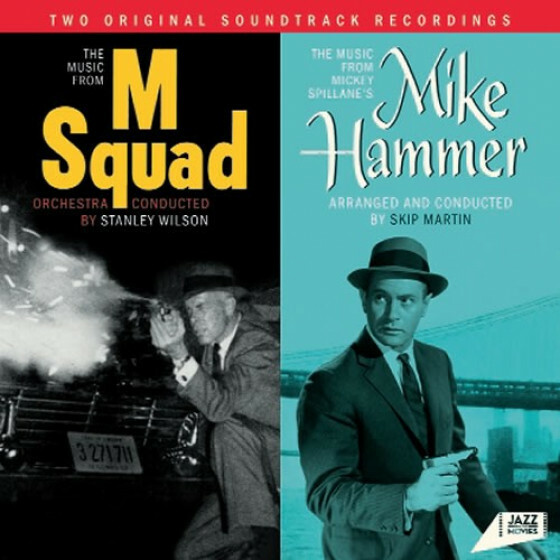 Fresh Sound Records has brought together some of the soundtracks from these matinee specials, and lo and behold, they are really GOOD. 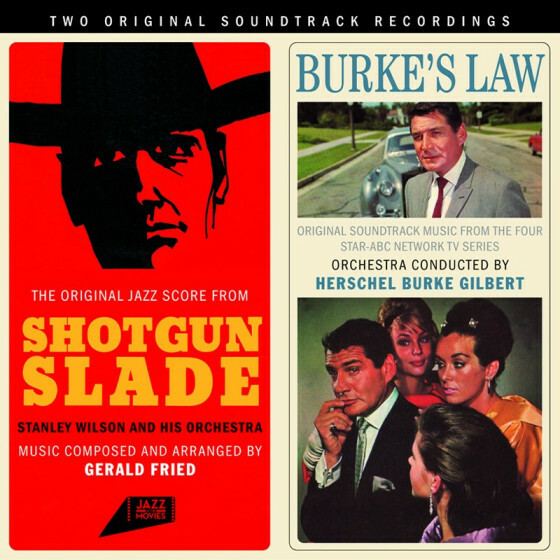 The studios in those days boasted of the crème of the LA jazz scene crop, and the arrangers were up to the task, putting together some smoking scores as themes and background for the cheesy flicks. The first reference spotlights B movies Crime in the Streets and Dino. Crimes band has an orchestra conducted by Franz Waxman with jazz soloists Pete Condoli/tp, Georgie Auld/ts, Ted Nash/ts, Barney Kessel/g, Andre Previn/g and Joe Mondragon/b. 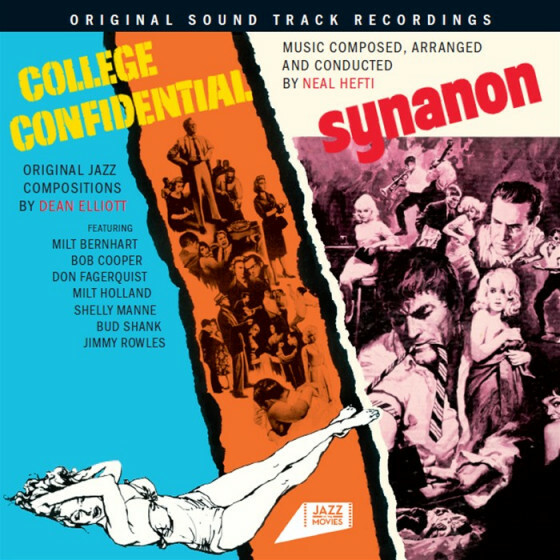 The cooking opening theme The Plot is a hot plate served well for Kessel and alto saxist Dumont, with The Crime not far behind. Other pieces get quite noirish and mysterious, with solos taking you down dark street corners, particularly on Theme, Variations and Fugato. 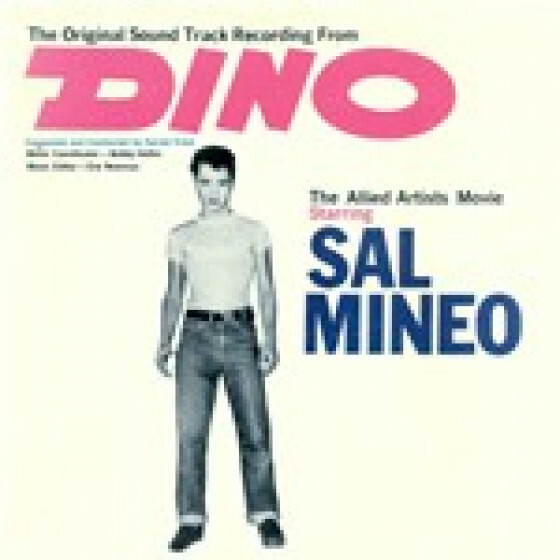 The film Dino starred Sal Mineo (what teen movie WASNT he in?!?) 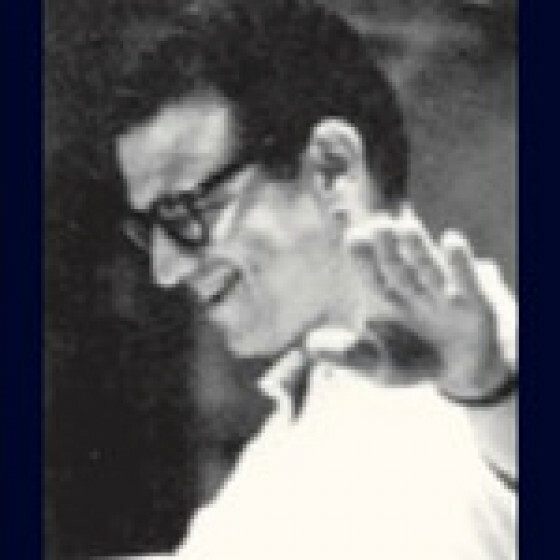 and the orchestra lead by Gerald Fried includes the hot trumpet of Maynard Ferguson and the rich trombone of Frank Rosolino. 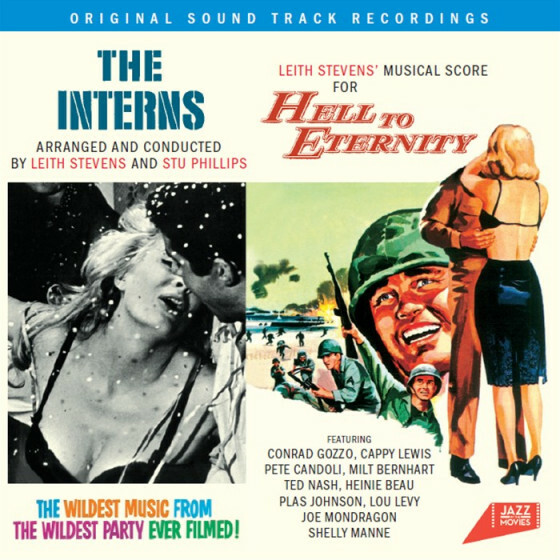 This obscure film has some bluesy and bopping themes such as Little Jazz and Death in a Warehouse while Defiance begs for some LA band to take it up. Photos of actors Mineo and John Cassavetes (told you that youd like it) put it all in perspective. Where has this stuff been hiding? Fun, fresh and tight as a leather motorcycle jacket!"